We've decided to make the Tiberium Crystal War 2.0 testing public. It is very timeconsuming to find people willing to test and get them to be active on the forums and all. So we figured it would be nice to just make it a public thing. 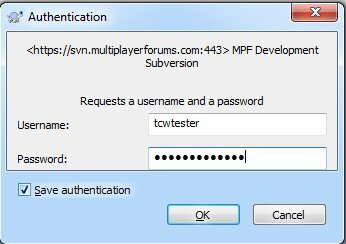 You can now download the client through SVN and join the testserver. We hope you like trying it out, but keep in mind that the game is not finished at all and you may of course give suggestions. I encourage everyone who decides to download it to register on our forums and report any issues or questions. 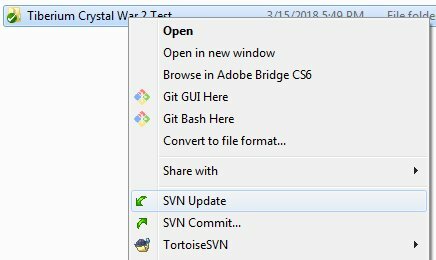 You will need the program called Tortoise SVN to download (or Checkout/Update) the game test client. 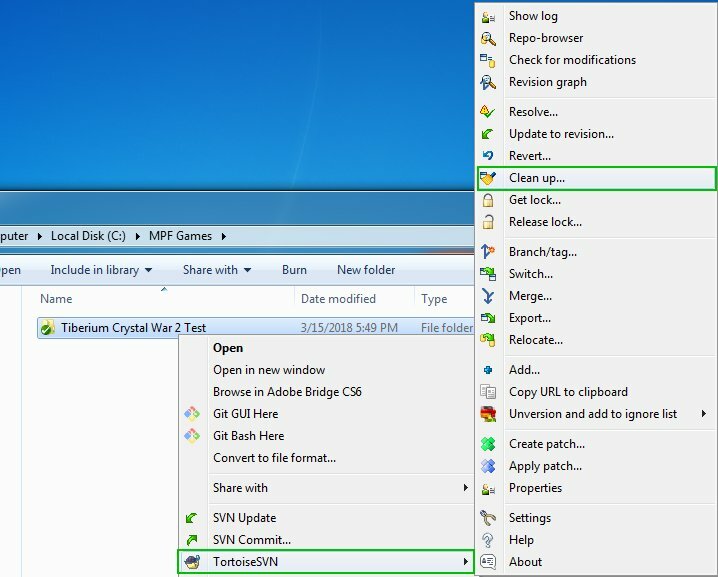 Create a new folder in any location of your choice, for example: C:\MPF Games\Tiberium Crystal War 2 Test\ or even your desktop will do but NOT your Program Files or Program Files (x86) folder. 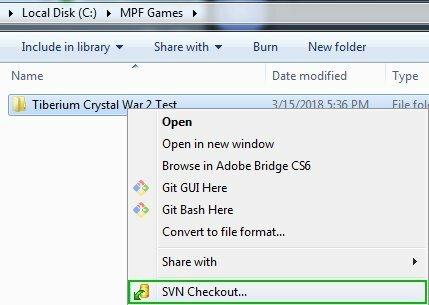 Right click the folder you created and you will see an option named "SVN Checkout" select this and a popup window will be opened. Next you will be presented with a login screen where you enter the username "tcwtester" and password "testersonly15" (no quotes). No further changes are required, press OK and it will begin to download the latest updates (about 2 GB) from the SVN Repository which may take a while depending on your internet speed. Once done downloading, you have the latest files from SVN. Updates to the game will be posted here in the forum. Once a new version has been submitted, simply right click the folder and click on "SVN Update" and it will download the posted update, and keep you up to date. Everytime we update the server and client you will need to SVN Update on your end. 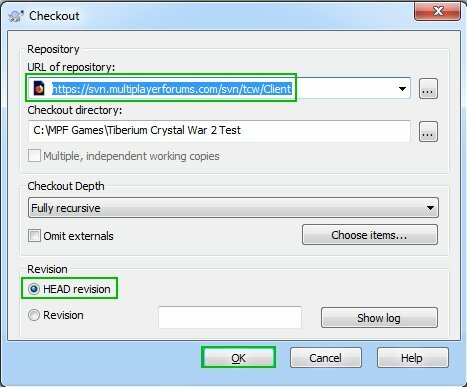 If you get "Version Mismatch" or "You need Tiberium Crystal War to play here" messages when trying to join, it means your Test client is out of date. Now you should be able to join the server again. If not: Please post on the forums. 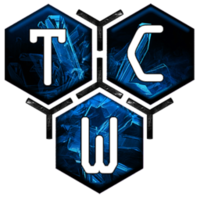 Run the TCW2Launcher.exe file in your folder. Goto the Direct Connect tab. Enter your player name and connect to play/test. Visit https://multiplayerforums.com/discord to join our Discord Area for text and voice chatting. 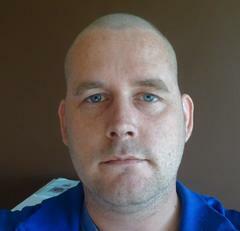 Thanks for testing the client and please provide us with your thoughts and concerns if any. If you get errors or conflicts in your folder then you need to perform a cleanup. 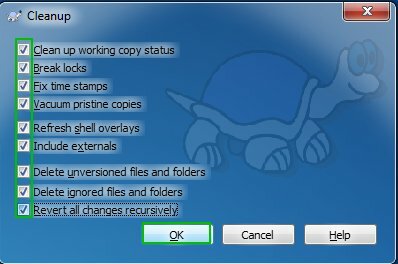 This is done by right clicking on the folder and going to "TortoiseSVN->Cleanup..."
If for some reason your cleanup doesn't work, then post in the forum here please. 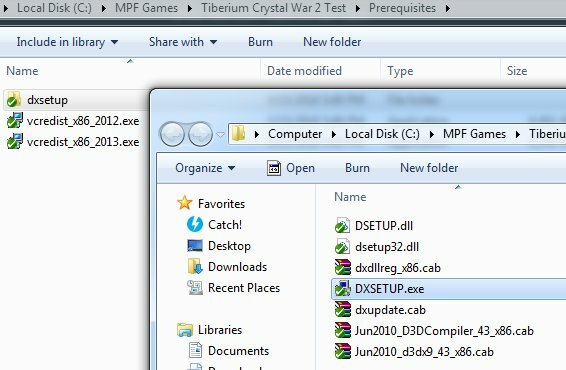 If you are new to Tiberium Crystal War (and the Renegade W3D engine in general) you also need to run the installations for VC++ 2012 and VC++ 2013 and the DirectX Update. You can find these in the Prerequisites folder of the checked out folder. Simply run them and install them.